A few weeks ago I visited my sister and her family in Minnesota. Living in different states, we don’t have the opportunity to get together enough. Jeanne and I were able to enjoy several days together and catch up. Along with shopping and watching movies, we both delight in the pleasures of the feast. On this day, we chose to try Coalition, an upscale restaurant in the delightful village of Excelsior. 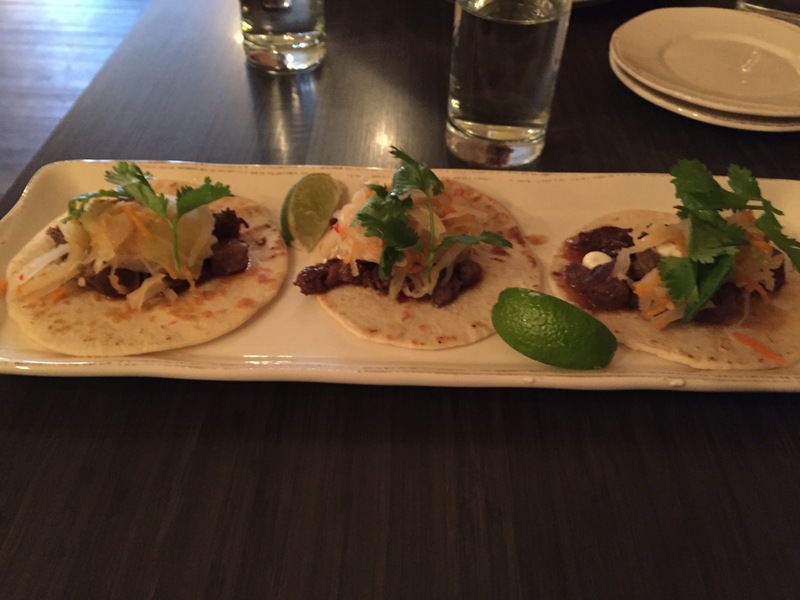 The top picture shows my order of Korean Tacos. It included marinated beef, Kimchi, cream, cilantro, and lime. Part of the reason I picked this for my lunch was to try Kimchi. It had a wonderful bite, just as I was hoping. I was happy with my choice and would order it again. The bottom photo shows Jeanne’s selection of a grilled chicken sandwich. It was embellished with Brie cheese, balsamic fig jam, arugula, and served on focaccia. She was also quite pleased with her lunch. True Nosh or Truly Nauseous? You Decide. 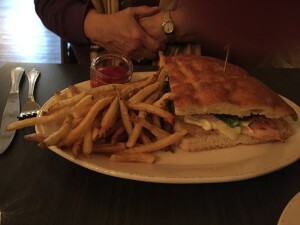 This entry was posted in Noshes Up North, Uncategorized and tagged Coalition, Excelsior, Noshes Up North Review on January 8, 2016 by MaryGrace.